The Samsung Galaxy S10 Plus is the largest of the trio of Galaxy S10 devices launched this year. Samsung has done a tremendous job with the S10 lineup and the devices have pleased almost every tech enthusiast out there. Samsung’s S10 devices pack in the latest and the greatest tech including an in-display ultra-sonic fingerprint scanner and the latest Snapdragon 855 chipset or the Exynos 9820 chipset overseas. The S10 Plus also has a secondary camera on the front and offers the best battery life of the bunch too. But the premium glass sandwich design toting smartphone is also a fragile product when it comes to durability and can pick up scratches or dents pretty surprisingly easily. Which is why it would be a wise decision to cover up your costly Galaxy S10 plus handset with a good case. There are a bunch of great cases available for the S10 Plus (see the link right above). However, if you’re looking for a leather case or a wallet case for your S10+, then we’ve got a great number of choices here. 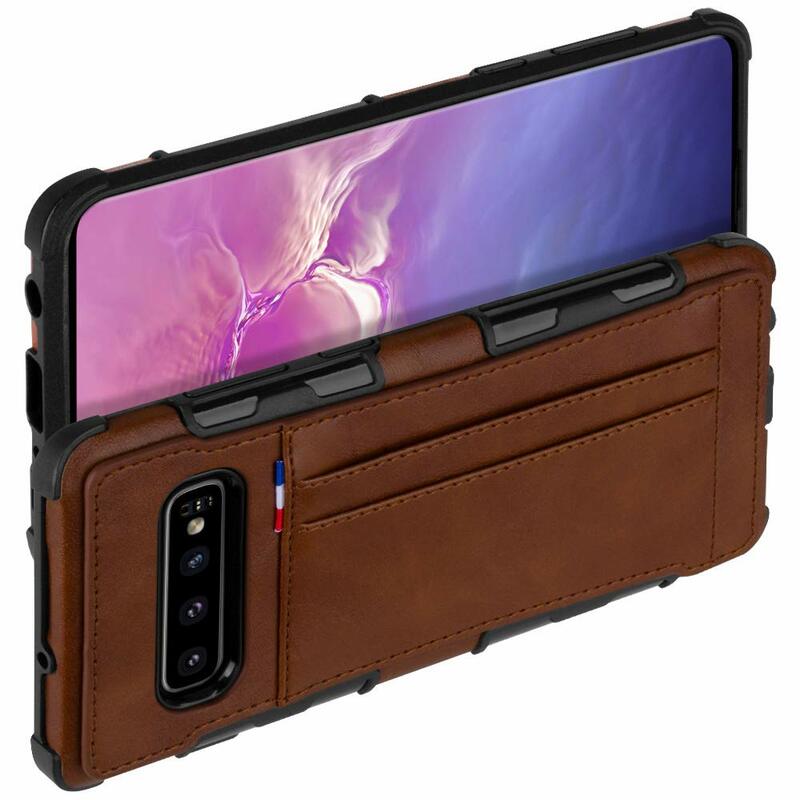 Mentioned below are some of the top leather and wallet cases currently available for the Galaxy S10 Plus. This brilliant rugged and minimal case from Mous is available in multiple finishes of which leather is one of them. The case does not add much bulk to the device and all buttons and ports are easily accessible. The black leather used is genuine leather and offers a great in-hand feel. This is also one of the only leather cases which could protect your device from drops as high as 6 feet as well since the AiroShock technology helps to absorb the impact of a fall. 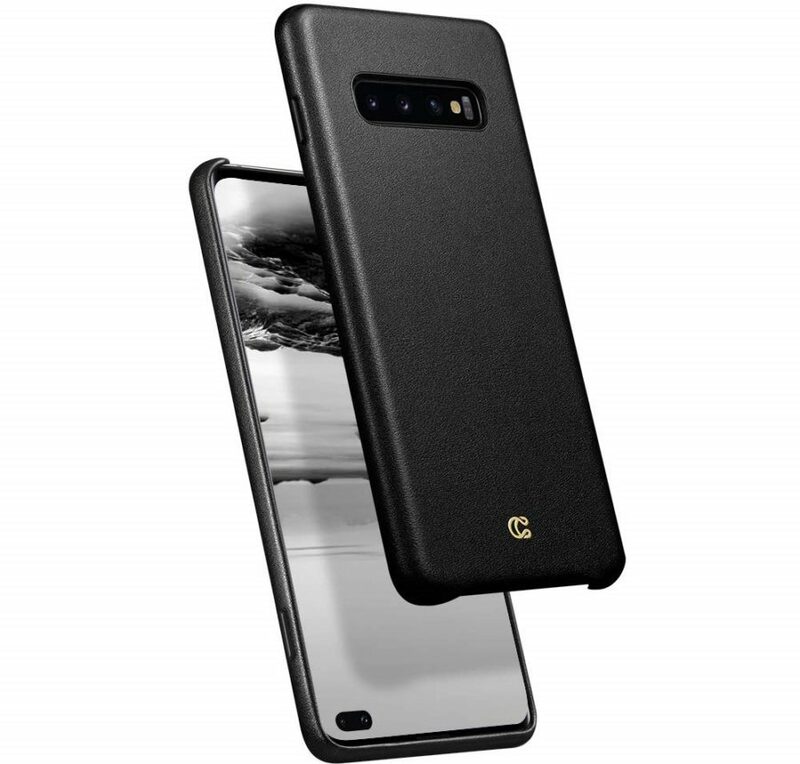 If you’re looking for a minimal and basic leather case for the Galaxy S10 Plus, then we’d suggest picking up this fantastic case from Ciel by CYRILL. The case is minimal and distraction-free and only has one small logo at the bottom. The case isn’t made with genuine leather rather is made with high-quality PU leather. 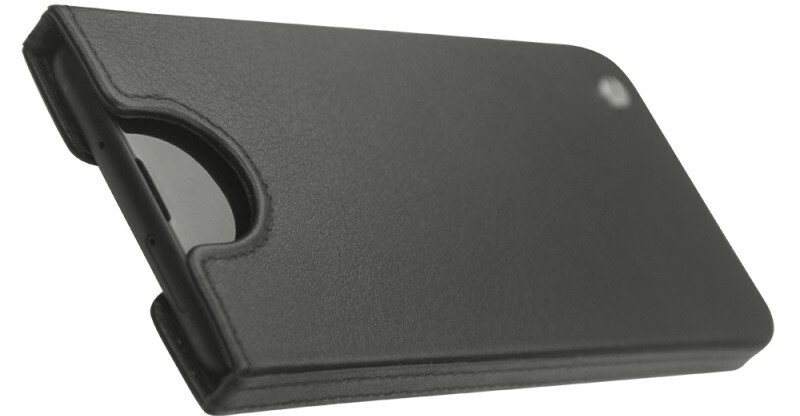 The case is also quite sleek and lightweight when compared to other leather cases on the list. The soft microfiber inner layer helps prevent the device from picking up any scratches when the case is installed. 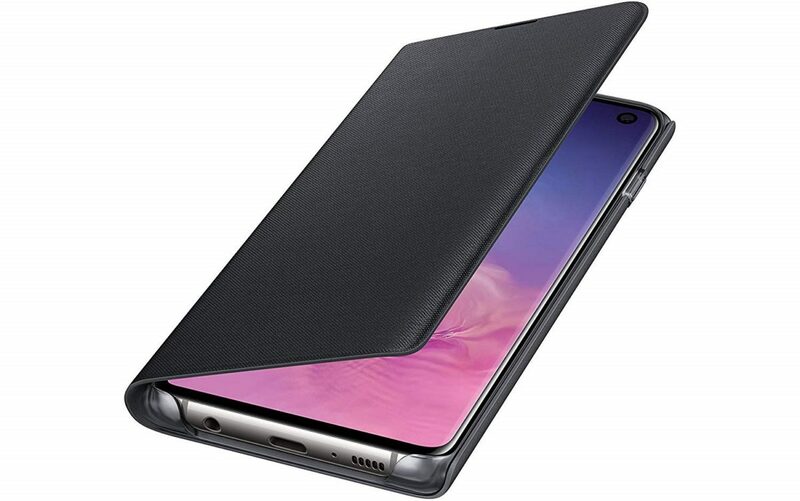 If you’re looking for a great fully-fledged wallet case for the Galaxy S10 Plus, then look no further than this wallet folio case from Case-Mate. The case is made with handcrafted genuine leather and can hold up to 4 cards along with some cash as well. The flip cover also acts as a screen protector when the device is not in use. All the buttons and ports on the S10 Plus are easily accessible as well and the case fits the device precisely. This leather case also provides some decent drop protection as well. Noreve’s leather pouch case is the absolute best pouch case you would find at the moment. The case is made with genuine leather and offers a premium in-hand feel. The leather pouch finish can be fully customized from the Noreve website and you have the option to pick and choose from multiple finishes and styles. The pouch protects the device from shocks, scratches, dust, and dirt and the device rests securely within the pouch. 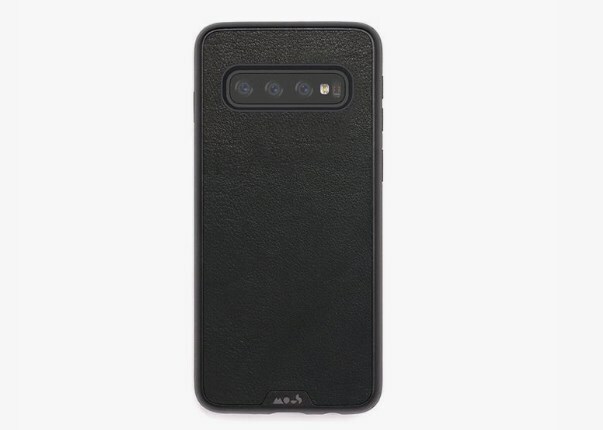 Samsung has a bunch of official cases for its Galaxy S10 devices and this genuine leather case is a must-have if you’re looking for a leather case which is available in multiple colors. The case is fairly thin and light yet does offer some decent scratch and drop protection. The genuine leather used offers a premium in-hand feel and does not add much bulk to the device. Since the case is made by Samsung itself, it fits the S10 Plus perfectly and all buttons and ports are easily accessible. Goospery’s leather wallet case lets you carry around a couple of cards as well as some cash without adding to much bulk to the Galaxy S10 Plus. The case is made from premium synthetic leather and also offers good drop and scratch protection. The slots are fairly secure and you wouldn’t have to worry about your cards or cash slipping out so you could slide in a couple of cards or cash in the slots at the back of the case. The case fits the device precisely and all buttons and ports are easily accessible. This is the only non-leather case in the list and is made by Samsung itself. The case lets you store cards in the interior pocket securely and it feels fairly premium and also has a bunch of LEDs as well on the front cover to display the time as well as notifications. 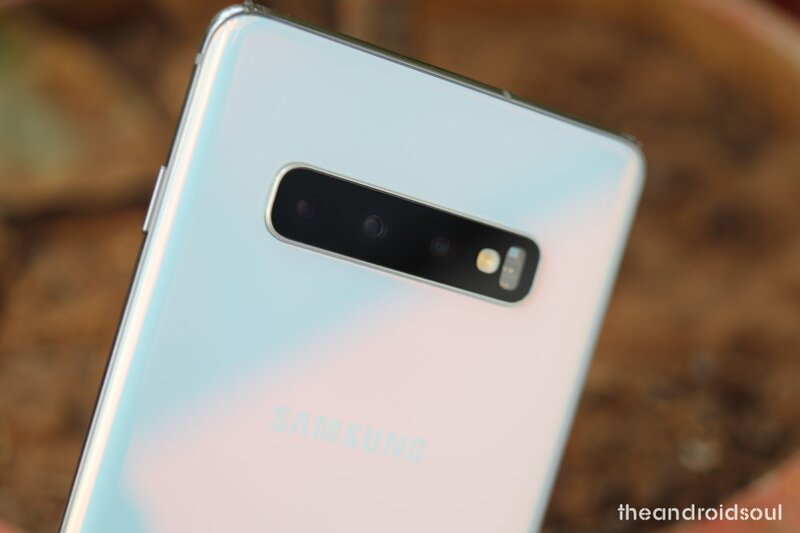 You could also assign custom LED colors for contacts to know who’s calling or messaging you without having to turn on the screen on your Galaxy S10 Plus. The case also provides decent protection from scratches and minor drops and fits the device perfectly.